I'm following the lead of Christine Rains – it's called Teaser Tuesday! Felt like being a copy cat today! 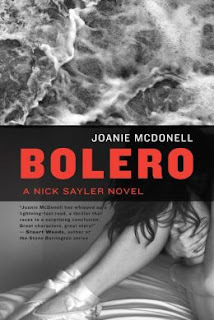 Bolero is a novel by Joanie McDonell and introduces Private Eye Nick Sayler. It's a great read, fun, fast, and engrossing! Bolero introduces Nick Sayler, the private investigator who lives aboard a Hudson River barge with a brilliant savant, a retired psychiatrist and a stunning Creole girl. But Sayler’s haunted by memories of the woman who took a bullet meant for him, so his good life is belied by a bad drinking habit. Then an emergency room doctor’s desperate call about a ballerina with no memory and nothing on her except his card, changes everything. If he can dip into his notorious past to uncover the secret that will save the dancer, maybe he can finally save himself. Today I welcome Julie Flanders the author of Polar Night; she's agreed to answer a few questions. 1. Tell us a little about the journey of Polar Night – inception to publishing. Based on your journey do you have any advice for novice writers? The idea for Polar Night came from a dream I had back in 2011. I dreamed that I was on an ocean liner in the 1920s and met a man who talked about a woman he had loved and lost in Russia during World War I. It was a strange dream and involved significantly more detail than the dreams I usually have! I originally planned to set the story in Finland but I realized quickly that I was way out of my depth and it would be much better for me to set it in the United States. Eventually it all came together in Alaska and the Russian history of Alaska fit amazingly well with the story. Once the ideas were in place I wrote the story fairly quickly and began shopping it around in the spring of 2012. I sent out queries to agents and to small presses and eventually found my home with Ink Smith Publishing in the fall of 2012. The book was released in February 2013 so there really wasn’t a big time gap between the inception of the story and its publication. I still think of myself as a novice so I don’t know if I am qualified to give any advice, but I would definitely encourage writers to look into all of the different publishing avenues that are available. I have friends who have gone with agents and traditional publishing houses, friends who have published with small presses like I did, and friends who have self-published. I don’t think there is any right way to do it – do your research and decide which path is the right one for you to pursue. 2. Polar Night is a supernatural thriller, is that your favorite genre? What are your long-term writing goals? Tell us a little about your next project. 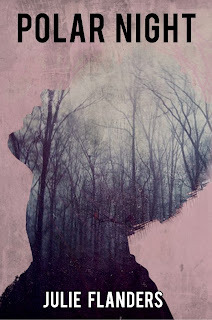 I don’t really have a favorite genre, but I definitely enjoy writing stories with some kind of supernatural or paranormal element. My next project is called The Ghosts of Aquinnah and it will be published in December 2013. 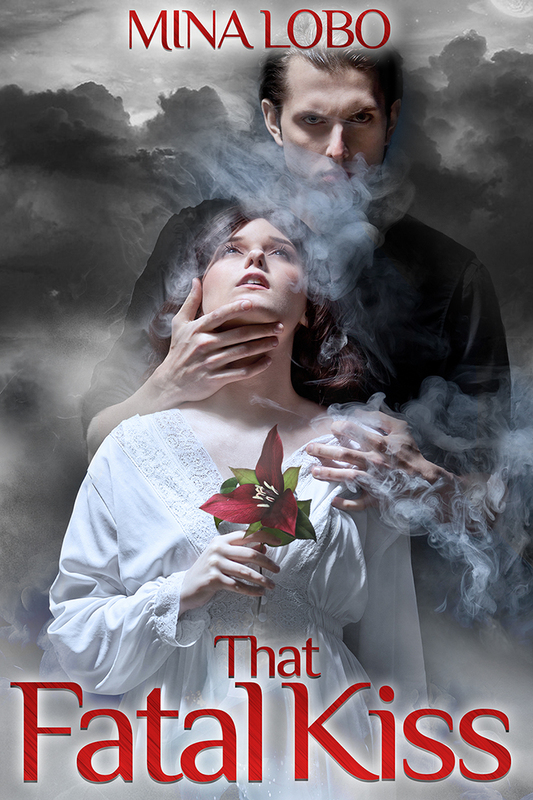 As you can guess from the title, it features at least one ghost, so while it’s not a thriller it does have a supernatural element. It’s a combination love story, ghost story, and mystery and it takes place in both 1884 and in the present day on the island of Martha’s Vineyard. One of my writing goals is to continue writing novels and I hope to have the sequel to Polar Night written by next year. I also want to do more freelance writing and hope to write features for print and online media outlets. 3. If you could change anything about the world today, what would it be and why and if you could change one thing about your life what would it be? If I could change one thing about my life, I would go back in time and start writing earlier. I didn’t start taking my writing seriously until I was in my 40s and I wish I had realized this was what I wanted to do much sooner. I feel like I wasted quite a few years! But then I also think maybe I needed to make the mistakes I did in order to get to the place I am now. If I could change one thing about the world, I would stop the treatment of women as second-class (or worse) citizens in so many places. I recently became familiar with the Half the Sky movement, which works to halt the oppression of women and girls worldwide, and it was both eye-opening and horrifying. The gender-based violence, forced prostitution, and lack of education and opportunity for girls that is all too common in many areas is simply infuriating. 4. What is our favorite quote, why, and how have you applied it to your life? My favorite quote is “It is never too late to be what you might have been” by George Eliot. I went through a difficult period of depression around the time I turned 40 and came upon this quote at that time. I put it up on my refrigerator and it’s been there ever since. It helped me stop focusing on the past and what I hadn’t done and focus instead on the future and what I wanted to do. I started writing and my whole attitude about life changed. 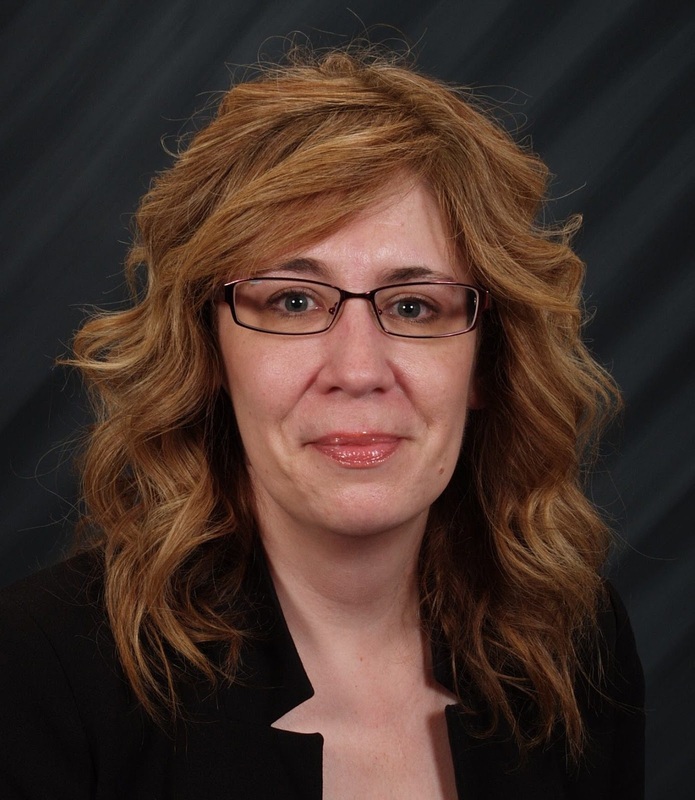 Thanks Julie, for sharing your journey with us! Julie Flanders is a novelist and freelance writer who has written for both online and print publications. She is an animal lover and shares her home in Cincinnati, Ohio with her dog and cat. Her debut novel Polar Night, a paranormal suspense thriller, is now available from Ink Smith Publishing at Amazon, Barnes & Noble, and Smashwords. 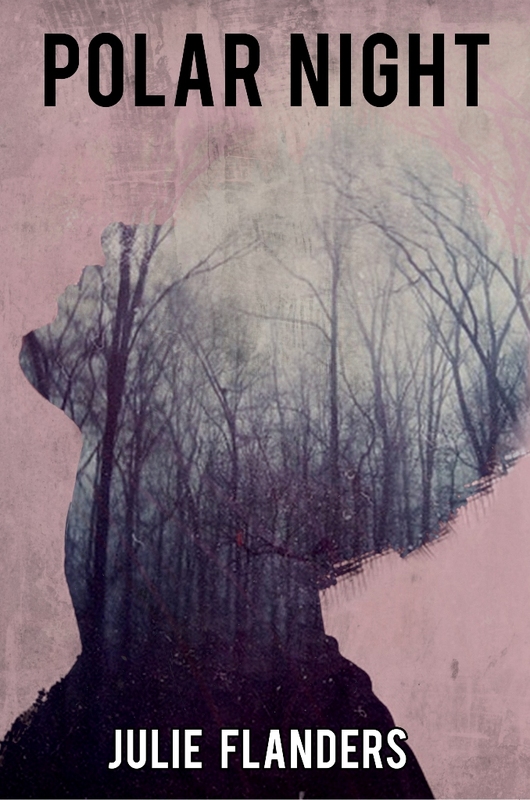 Her second novel, The Ghosts of Aquinnah, will be published by Ink Smith in December, 2013. Find Julie online at her website, and on her blog, Twitter, Goodreads, Pinterest, and Facebook. Julie is hosting me today on her blog as I talk about my Alaskan Adventure and the inspiration for my books. 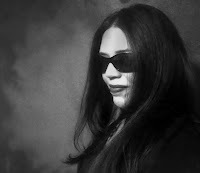 Today I am thrilled to be presenting the debut novel of Mina Lobo of the blog Some Dark Romantic. Wow! That is one hot introduction! Congratulations Mina!